[Updated] Premier and Minister of Finance David Burt is holding a press conference this afternoon [May 16] where he is expected to discuss the Government’s first public report on the assessment of its national money laundering and terrorist financing risks. We will have additional coverage later on and in the meantime the live video of Premier Burt’s press conference is below. I am pleased to announce the release of Bermuda’s first public report on the assessment of its national money laundering and terrorist financing risks. This report, provides information on the money laundering threats, the type of crimes that could result in proceeds being laundered in Bermuda, and details of the factors that make sectors prone to be used to launder money in Bermuda. Bermuda has a well-deserved reputation as an international financial centre committed to quality and integrity. 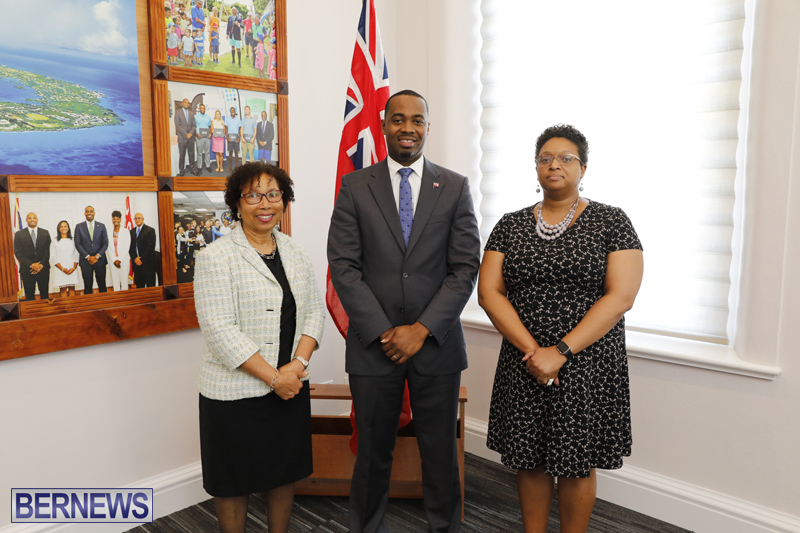 The Government of Bermuda has continually expressed and demonstrated its commitment to ensuring that the island has a strong and robust regime, consistent with international standards, to fight money laundering and the financing of terrorism. The international standards issued by the Financial Action Task Force, require countries to know and understand their money laundering and terrorist financing risks and to develop and implement policies and strategies to effectively address those risks. The FATF also expects jurisdictions to ensure their regulated sectors are informed about the national risks and risks that are relevant to their sector and to have strategies to effectively reduce and manage those risks. This report is part of the program to assist regulated entities to understand the national money laundering and terrorism risk profile. This report shows crimes that could be a high threat to money laundering occurring in Bermuda include certain crimes that take place outside of Bermuda such as international tax crimes, market manipulation, international fraud and external corruption or bribery. On the domestic side, drug trafficking is the most significant threat. Consequently, the sectors that are seen to be most vulnerable to money laundering are those whose products and services have the highest risk of being used by people committing the high threat crimes, which would include banks, companies in the securities sector and businesses such as law firms and corporate service providers. There was no evidence that terrorism or the financing of terrorism is taking place in Bermuda. Therefore, the threat was deemed to be low. An area that is high risk in other parts of the world are donations to charities. Charities in Bermuda were however assessed as medium. This report is a comprehensive document that reflects a detailed analysis by various working groups comprising members of the public and private sector. Having undertaken this comprehensive analysis of our risks, the working group developed a plan to ensure that we are addressing these risks as effectively as possible. This report and the proposed plan have been approved by Cabinet who has put its full support on addressing the issues identified though the analysis. This government is committed to doing everything it can to ensure we are as effective as possible and then show that effectiveness. Conducting these risk assessments and publishing the reports is an important part of the strategy. The Cabinet subcommittee consists of all the Ministers who are responsible for the key agencies that are critical to the development and implementation of this regime. As Chair of that committee, I can assure you that we are working closely with our agencies to ensure that the required action plans move forward. You may ask, why is this important? The report is important for Bermuda. It provides the information organizations, businesses and charities need. The report identifies the risks that may be associated with money laundering and terrorist funding. Every Bermudian should take the time to recognize these risks because they can impact the companies in which they work or the requirements imposed on them by regulated companies. Bermuda has a reputation for being well regulated, transparent and cooperative. Our goal is to maintain that reputation which is an important part of our strategy for greater economic growth and more jobs for Bermudians. Getting this right keeps people employed, keeps our economy functioning and creates the conditions necessary for the growth of the economy and the creation of jobs. My sincere thanks to all those involved in these assessments and the production of this report. I encourage everyone in Bermuda, to read this report and take active steps to understand the important information it contains. This Government is determined to ensure that Bermuda remains a good place to do legitimate and quality business. Why is the Premier standing in front of the Union Jack and not wearing a green tie? b. Why does he always have to wear a green tie? I can’t stand the PLP,but ffs, there is nothing here to complain about.